We are not a booking agent nor ground handler and nor do we organise tours. We simply provide you with as much information as possible about your chosen destination, so that you can research and design your own perfect holiday (or we can put you in touch with an expert travel planner or consultant to do this for you). SEARCHABLE LISTINGS: We list a wide choice of accommodation, activities and travel services for destinations along the Zambezi River. The listings are searchable (alphabetically, by location or by type of accommodation/activity etc required). Each individual listing gives you a detailed description, pictures, maps and contact information. TRAVEL REVIEWS: Visitors to our website are encouraged to share their experiences by writing travel reviews for the individual listings online. These are then published on the relevant page, and are very useful for holiday planning. WILD ZAMBEZI E-NEWSLETTER & SOCIAL MEDIA: Wild Zambezi also produces a regular (and very popular) e-newsletter with news, views, specials and items of travel interest focused on the Zambezi’s wild areas and highlighting the opportunities offered within our network of travel providers. You can sign up online to receive this. You can also follow Wild Zambezi on our Social Media platforms. 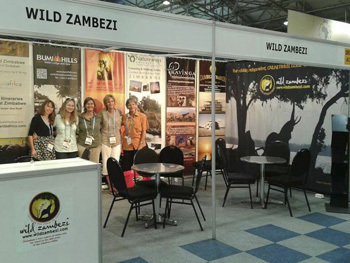 BOOKINGS: DO IT YOURSELF OR USE OUR TRAVEL EXPERTS: If you want to make a booking, you can do this directly with the relevant company or operator whose contact details are listed on Wild Zambezi.com . If you need help putting a trip together, you can choose from Wild Zambezi’s list of travel experts - their direct contact details are on the website. If you simply need INDEPENDENT, UNBIASED ADVICE, clarification, or travel suggestions, you can ask us – that’s our job! There’s something for everyone along the Zambezi! Wild Zambezi is run by a small team of Zimbabwean communicators who have a passion for the Zambezi River, its wildlife and its wild places and have been promoting it to the world for decades. We have first-hand, on-the-ground, practical knowledge of the magnificent and varied travel opportunities that this incredible destination offers.